There are times for this blog, that as a counselor, I want to write posts that include advice and tips for those around me. I want to help others live a vibrant, Godly life. 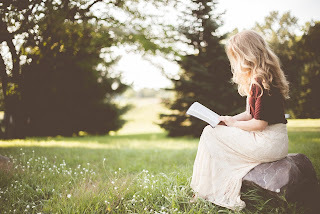 But…there are other times where I want to be authentic and write about my own experiences because it is easy for us to skim over polished sermons or well-articulated articles and not take them to heart. Instead, sometimes, it is through the authenticity of others, their struggles, and their issues, that we are forced to examine our own hearts. So I’m going out on a limb and sharing my feelings, because I suspect some of you are struggling with the same issues right now. I’ll be honest. The last week has been overwhelming. I’ve struggled with self-doubt and some pretty depressed days. As someone who lives with bipolar disorder, I’m “used” to the down days. Part of my life (although I’m well-medicated) are the days where it is tough to get out of bed. The days where I feel lethargic and alone. The days where nothing I do makes me feel better. When I add in some pretty big changes and transitions happening in my life, I have been feeling totally overwhelmed. My Friday involved lying in bed most of the day, because housework/parenting/work seemed like too much. I’m not sharing this for pity, don’t get me wrong. 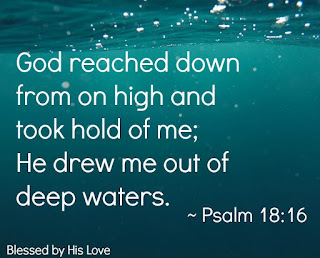 But I want to set the stage for why Psalm 18 is so powerful for me today, and because even though we often put on our happy faces for church on Sunday, some of you are also struggling with that same crushing, heavy, hopeless feeling of depression. Some of you struggled to find the energy and motivation to do the dishes this week. Some of you forced yourself to smile for your children, but it felt like a huge task. Depression is an awful, draining feeling. Anyone who’s struggled with it would probably agree. I feel like for myself, one of the worst parts (besides lack of energy, not a good thing when I’m supposed to be training for a half-marathon) is just that awful hopeless feeling. The one that logically I know is false, but still weighs heavy on my heart. Luckily, I serve a powerful and loving God. Because you see, when I’m depressed, I need both. I need a powerful God who can give me strength to get through my saddest days, and I need a God who loves me and is there for me when I feel hopeless and alone. Normally, I would have scrolled right past, but today, that verse gripped my heart. I flipped open my Bible, and read the entire psalm. Wow. Psalm 18 is one powerful Psalm. Here’s what I gleaned about God from it and I hope it gives you hope as well. 1. God doesn’t need overly fancy, “perfect” prayers to hear you. David starts out the psalm with a simple verse: “I love you, O Lord, my strength.” He comes to God in a calm, not overly eloquent way. Memorize this verse. Write it on your heart. Don’t overcomplicate or feel pressured to pray the “perfect” prayer. David kept it simple and honest, and you can too. Sometimes, when prayer seems too hard, when getting out of bed seems daunting, repeat Psalm 18:1. It’s short, sweet and a powerful reminder: I love God, and He is my strength. I may feel fragile and mentally worn out, but God is not. He is powerful, my refuge, my stronghold. Already, I feel more comforted. I can depend on Him for strength and mental fortitude, even when I don’t feel like I have any. 3. God is present and with us. One of the lies of depression is that we are alone. That no one cares about us, or that we can’t be honest about our feelings because we will be judged. David writes that “In my distress I called upon the Lord; to my God I cried for help. From his temple he heard my voice, and my cry to him reached his ears” (Psalm 18:6). You may feel alone, but you are not alone. We can cry out to Him, stuck in our beds, wrapped in a blanket on the couch, overwhelmed and fearful, and the best part? 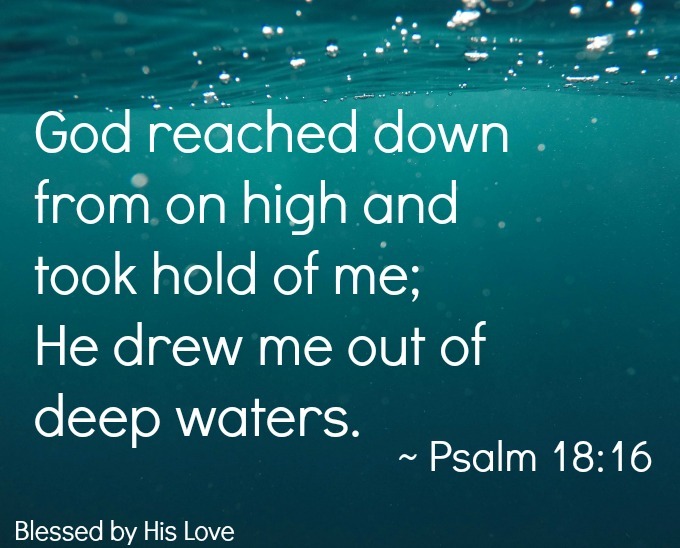 And David knew that instead of God just passively hearing him and blowing him off, God “thundered in the heavens” (verse 13), then “He reached down from on high and took hold of me; he drew me out of deep waters” (Psalm 18:16 NIV). Sometimes those are deep waters of financial debt, of addiction, of bad decisions. Sometimes they are the self-imposed waters of fear and self-doubt. Sometimes they are the deep waters of depression, anxiety and panic attacks. Regardless of the water, God takes action. I’m grateful to have a God who hears me and is able to pull me from the darkest, most hopeless places. 4. God isn’t just a powerful, earth-shaking God, He loves us too. David shares all of the powerful, mighty things God does, but then, tucked in verses 18-19, David talks about the loving aspects of God. Those last four words are a balm to my heart. Even in those moments where I struggle with doubt, or a lack of faith in God’s plan for my life, He delights in me. When I’m depressed, I struggle with understanding how people tolerate me. How can my spouse forgive the fact that he sometimes comes home to a messy house because I couldn’t find the motivation to do the dishes? How can my mom forgive me when I’m irritable or withdrawn? 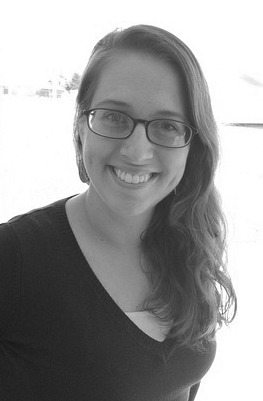 How can God still love me when I’m not always the “perfect” Christian? Because he delights in me. 5. God can overcome our darkness. Depression feels like darkness sometimes. When it’s hard to find motivation, it is tough to see beyond today. When you feel hopeless, it’s difficult sometimes to care about the future. You don’t know if you’ll wake up feeling better tomorrow, or if this period of depression will stretch out for days, weeks or months. Take hope, friends. David had some dark periods of his life, but he knew that “It is you who light my lamp, the Lord my God lightens my darkness. For by you, I can run against a troop, and by my God I can leap over a wall. This God-his way is perfect” (Psalm 18:29-30a, ESV). If your depression leaves you floundering in the darkness or bogged down by uncertainty and fear, have faith that God will lighten your darkness and help you to move forward. He will help you leap over a wall, or at least, take a shower, hold your little ones and find some peace. My heart and chemically-chaotic brain are not perfect, but God’s way is. And because of that, I have hope. I can pray and focus on getting out of bed today, without guilt or worry, because I know that His light is more powerful than my darkness. The rest of Psalm 18 is fantastic. David writes about God’s power and love. David shares the mighty things God has done in his life, the enemies God has helped David overcome and how God’s wonderful plan protects and delivers David. Even if it feels too overwhelming to pick up your Bible, know this. God is powerful. God loves you. And God will get you through this.